Rebeca Gómez Galindo was born and raised in México City. She moved to San Antonio, Texas in 2004. Her work has been published in México, Spain and the United States. 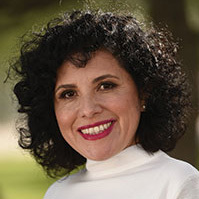 She’s the former vice-president of the Society of Hispanic and Latino Writers of San Antonio. Her book “Habitantes de mi Tiempo” was featured at the Salon du Livre in Paris, France, 2009.